The therapeutic tap of rain on the tin roof of my tukul is soothing after another long day working in MSF’s biggest project in South Sudan. Here in Aweil, in the northern part of South Sudan, the community cherishes the rainy season. The rain brings with it hopes of giving new life to their land, and also that they will be able to cultivate enough food for their children for the harsh dry season to come. However, the rainy season brings dangers to the community. Street views and scenes of the city of Aweil after heavy rains. The streets are transformed in small lakes and potholes. Along with the lush green landscape of the rainy season comes a rapid rise in the number of mosquitoes and subsequent malaria infections. To say malaria has a big impact on the community is an understatement. It remains one of the biggest killers in South Sudan, especially in the state of Northern Bahr El Gazal, where I’m based. The MSF hospital in Aweil is the only place for over a million people to seek medical care in one of the largest regions of South Sudan. A mother brings her unwell daughter to the admissions area of the MSF hospital in Aweil. Malaria is spread by mosquitoes and, despite much progress worldwide in controlling the disease, it remains one of the biggest infectious disease killers globally. Due to years of brutal conflict in South Sudan, and a civil war that started in 2013, nearly all malaria control measures have ceased to exist in the country. During the rainy season we admit close to 200 children every single day, the majority of whom have severe life-threatening malaria. This leaves the population vulnerable to this deadly disease, with the biggest burden on children under five years of age. Every year MSF prepares meticulously for what we call “the malaria peak” during the rainy season. Extra wards are constructed in large tents that can house 20 patients and their caretakers. Staff numbers are doubled and supplies including drugs and mosquito bed nets are shipped in. View from inside of a tent in the MSF Hospital, Aweil, during the peak season of malaria. Achana walked for two days with her sick three-year-old son named Deng in order to reach the MSF hospital in Aweil. He had been sick for three days, his body shaking vigorously every few hours with the classic intermittent fever of malaria, unable to eat or drink, his eyes sunken into the back of his head. Deng was desperately sick. Repeated malaria infections destroy the red cells in the blood leading to this life-threatening condition. He was admitted immediately to our intensive care unit. The diagnosis - severe malaria and severe anaemia; a classic combination that kills hundreds of our patients every rainy season. 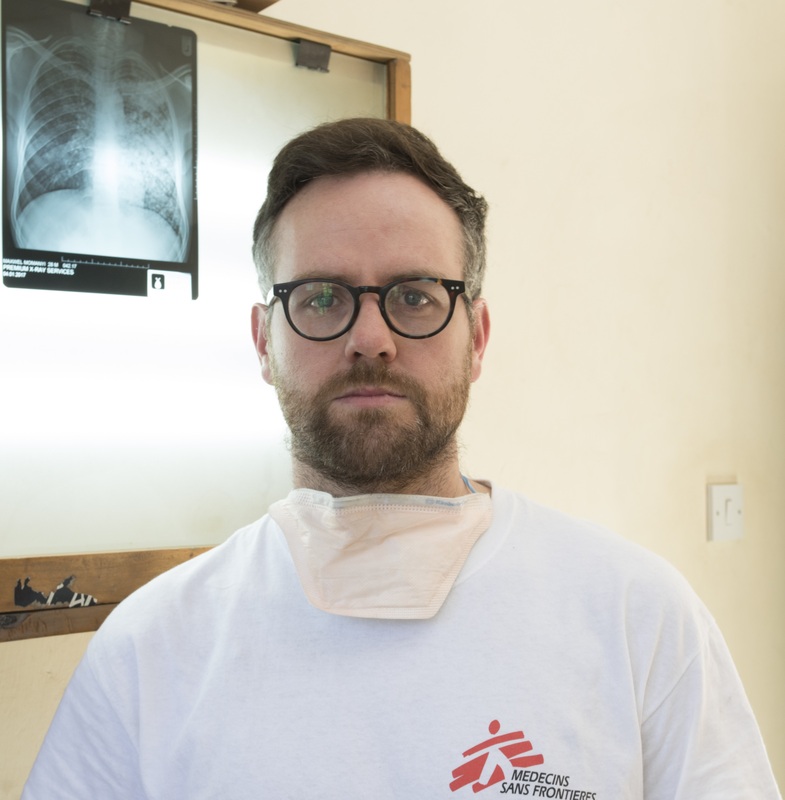 At the MSF hospital we can prescribe him the best medicines available. He receives antimalarial medicine through a drip and, importantly, we can provide him with an emergency blood transfusion. Malaria and anaemia go hand in hand. Deng made it to us just in time. Saving lives: Tien Dinah (Pharmacy Manager) inspects pharmaceutical stock levels at the MSF hospital in Aweil. I asked Achana why she walked for two days to get to the MSF hospital. With anguish across her face, she explains how she has already lost two children to malaria. She recognised the symptoms of this killer disease and had to do what she could. She heard that there was a hospital a few days walk from her village that could help her and was free of charge. She set off on her journey late two evenings before and did not stop until she reached the MSF hospital. Four days later, Deng is sitting up, is playful and has made an excellent recovery. Ayak is 18 years old and pregnant with her first child. She had watched her sister die in childbirth and so is all too aware of the risks of pregnancy in South Sudan. She heard about the MSF hospital in Aweil and knew she wanted to deliver her baby in the safety of the facility. When the pains started early one morning, Ayak’s mother said it was time to make the journey to Aweil. With her mother at her side, Ayak walked for two full days – while in labour – to get to the MSF hospital. She arrived exhausted but grateful that she was able to make it in time. Once assessed she was found to be in advanced labour. Under the care of our trained midwives, Ayak delivered a beautiful, healthy baby girl named Achana. Achana and Ayak are just some of thousands who make long and difficult journeys to our hospital each year. In Aweil, only MSF offers secondary healthcare, including paediatric and maternal health services. Across our South Sudan programmes in 2017 we delivered 10,068 babies, treated 17,135 hospitalised children and 224,655 cases of malaria. We’re not only delivering babies, we’re delivering hope to mothers who might otherwise have none. Our work here is essential for the region. Thanks to your support at home in Ireland, we are able to provide this life-saving treatment in Aweil, and children like Deng are able to recover from this infectious disease.